The business world in the modern era is one that requires entrepreneurs to be increasingly creative and up to date for them to be able to be successful. Thus, LinkedIn offers the perfect platform for businessmen to do exactly that. Your business can boom with just a little tact and smart social media use. 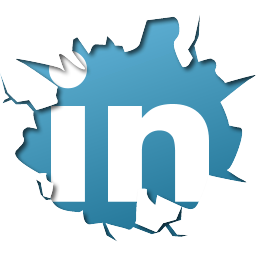 Here are just a few reasons as to why LinkedIn is the right platform for you. You can attract some new customers just through your satisfied clients leaving recommendations. Remember, happy customers are the best way for you to invite more clients. Recommendations are published on your profile and your entire network gets to view them. LinkedIn is the best network when it comes to helping generate leads. You can engage them and eventually turn them into future customers by listening and responding, reigning in potential customers! It is ideal for the purpose of traffic building. You can share content in LinkedIn groups or status updates and your content can easily go viral in the business community. LinkedIn offers the perfect platform to analyze and get insight. You can also ask and answer questions, building your knowledge of social media marketing. You get the option of creating a targeted online community. This makes it easier to ensure that your content reaches your target audience without hassle. You’re able to create innovative social strategies. 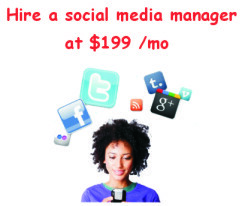 Maneuvering the social media platform helps you get creative with how to market your brand. LinkedIn gives you shorter sales cycles and longer client life cycles. Double the benefit and half the time. It’s a win-win situation! Search Engine Reputation Management ( SERM). LinkedIn profiles are given a better ranking when it comes to results for queries regarding a company or employee which is ideal for getting more hits on your profile. LinkedIn boosts your business visibility. The more professionals view your page, the better! LinkedIn also offers you the opportunity to track the decision makers and leads that you connect with. This allows you to track them even if they’ve moved to a different company so you can connect with these new employers as well. Just like LinkedIn allows you to present yourself to the world, you can also use it to research other companies. Keep your friends close, and your competition closer! 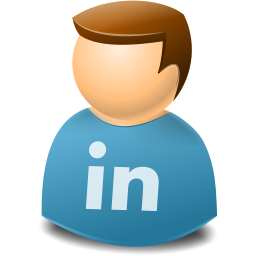 LinkedIn allows you to access the statistics of any LinkedIn group that you may be part of. Thus, you can analyze what content appeals to individuals and develop more effective social media strategies. It offers you the opportunity to ‘Get Introduced’ to individuals or companies you may wish to establish a working relationship with. Even if you are complete strangers, building relationships with other professionals is now easier than ever. Network with peers in the industry and find complimentary businesses that you can help get repeat business referrals and vice versa. For example, your real estate agents can team up with mortgage brokers and refer clients to each other. Make it easier for yourself while recruiting a new team member. Get a one stop solution to seeing what a potential employee has to offer, their skills and the mutual professionals you have that you can get a recommendation from! Why Pinterest Should Be a Part of Your Social Media Marketing Strategy? How to Use of Hashtag Marketing on Twitter in Five Simple Steps?